Reinhold offers some of the best apartments in historic Philadelphia neighborhoods throughout the city. We offer modern apartments for rent in Philadelphia’s best neighborhoods housed in unique buildings that retain their historic charm. Modern kitchens and baths pair with historic features like expansive windows and preserved architecture to provide idyllic homes in the heart of the City of Brotherly Love. Living in a city with such rich history means you have access to some of the nation’s most-visited cultural attractions and finding a home that exudes the culture of Philadelphia simply adds to the ambiance. Our distinctive Philadelphia apartments span a variety of neighborhoods, but some of the most popular are Center City and Old City. Each section of Philadelphia has its own charm and attraction with these two being among the top-requested locations in the city. Reinhold offers several stunning properties in one of the most historic neighborhoods in Philadelphia, two of which are Waterfront I and Waterfront II. Both offer an idyllic location convenient to the water and to everything charming Old City has to offer. This incredible property features original brick, wood, and cast-iron structures that have been upgraded from the colonial era into the 21st century. Waterfront I’s preserved cornices and iron columns provide a historic edge, while its brick walls, plank ceilings, and expansive windows usher residents into modern day. Living at Waterfront I means you’ll be treated to spectacular waterfront views and a peaceful location along Letitia Street. You’ll also find a peaceful retreat from bustling Old City attractions at Waterfront II. This renovated historic building features detailed carvings, wooden beams, and plank ceilings that provide character to complement contemporary upgrades. Waterfront II offers original detail with modern amenities situated in a quiet, yet convenient location sure to satisfy all your needs. Finding modern apartments for rent in Philadelphia’s best neighborhoods that preserve the city’s rich history is easy with Reinhold. Whether you’re looking for a space in Old City, like those at the Waterfront properties, or you’re interested in other neighborhoods like Center City, we have plenty of incredible options. 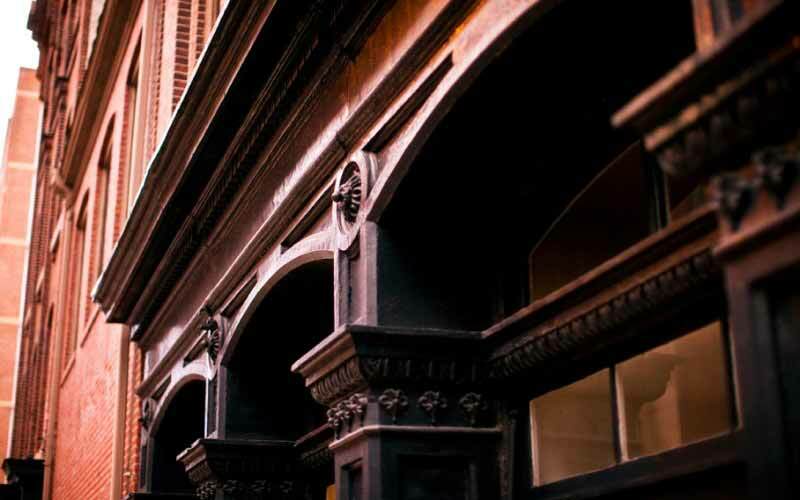 Contact us today to find out more about the best apartments in historic Philadelphia neighborhoods and beyond.